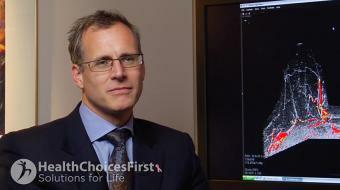 Dr. Beth Donaldson, MD, discusses breast cancer in women. 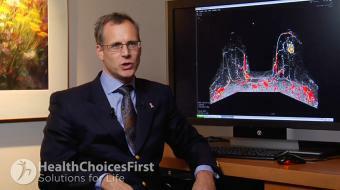 Breast Cancer Dr. Beth Donaldson, MD, discusses breast cancer in women. 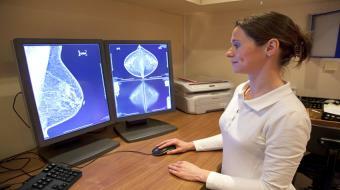 Breast cancer is, unfortunately, rather common in women. Not so common in men, although it does happen in men. It’s a one in eight chance in a lifetime that a woman will get breast cancer, and there’s a one in six chance that that will actually be invasive breast cancer. In terms of the prevention of breast cancer, there’s a number of things that women can be doing. One would be lifestyle, so improve your diet, improve your exercise routine, limit your alcohol to seven to nine drinks per week and limit your weight to a reasonable level as well. There’s also a number of things that women are doing, and not even realizing it’s preventing breast cancer. One would be having a late onset of their menstrual cycle, or going into menopause early. Another would be having a number of children early in life and breastfeeding those children. All of those will actually help to prevent breast cancer. So women should be doing breast self-exams once a month on their own actually. There has been controversy around that but it is still recommended that they do that. They should also be seeing their physician yearly for a breast exam, and as of age 40 they should be going for yearly mammograms. Some women think they only need to go every two years but they should actually go yearly for a mammogram in order to catch breast cancer at its earliest stages. The only change to that would be if you have a close family member who has had breast cancer at a young age. 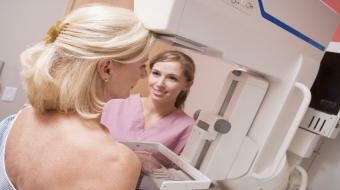 You need to start having your mammograms early, 10 years younger than the age at which that person had breast cancer. And if there are any questions that anybody has through the screening processes or through breast self-exam on a monthly basis, they should consult their physician.